The long-awaited rebound in U.S. drilling may be near. At least that's what a key bellwether of the oil industry thinks. Halliburton (HAL) CEO Dave Lesar declared on Wednesday he believes the North American market "has turned" and his oil services giant is preparing for the "upcycle." Halliburton thinks the 78% plunge in oil rigs from late 2014 levels finally "reached a landing point" in the second quarter. Recently, the closely-watched Baker Hughes rig count has crept higher, rising six of the past seven weeks. Halliburton expects that trend to continue, forecasting a "modest uptick" during the second half of the year. Why the shift? Lesar points to the return to $50 oil, which he called an "emotional milestone" for oil executives. "You can't underestimate the positive change in attitude that we are seeing in our North American customers," the Halliburton CEO said during a conference call with analysts. That psychological shift is encouraging for companies like Halliburton that make money by providing the tools and knowhow required to extract oil from the ground. The oil services industry, dominated by Halliburton, Baker Hughes (BHI)and Schlumberger (SLB), has been rocked by the crash in oil prices that sent drilling activity to 70-year lows. 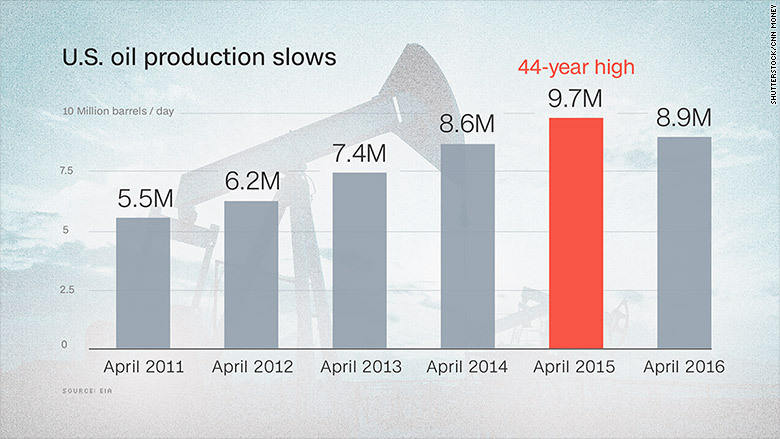 At Halliburton alone, the oil downturn has wiped out 32,000 jobs since 2014. Halliburton told CNNMoney it cut roughly 5,000 jobs during the second quarter, on top of the 5,000 layoffs the company announced in February. Halliburton described a "challenging quarter" and "continued pricing pressure around the globe." The company's sales slid by 9% during the second quarter, hurt by trouble around the world. Halliburton said its Latin America revenue dipped by 4% due to 20-year lows in rig activity in Brazil and Mexico as well as "significant political and economic turmoil" in Venezuela. Halliburton suffered a second-quarter loss of $3.2 billion, but the red ink wasn't triggered by the oil downturn. The company paid out a massive $3.5 billion termination fee as a result of its failed effort to acquire Baker Hughes. That big merger was killed by an antitrust lawsuit filed by the U.S. Department of Justice. Still, Halliburton claims it is "best-positioned" to capitalize on the anticipated recovery. The company pointed to its growth in market share during the downturn. 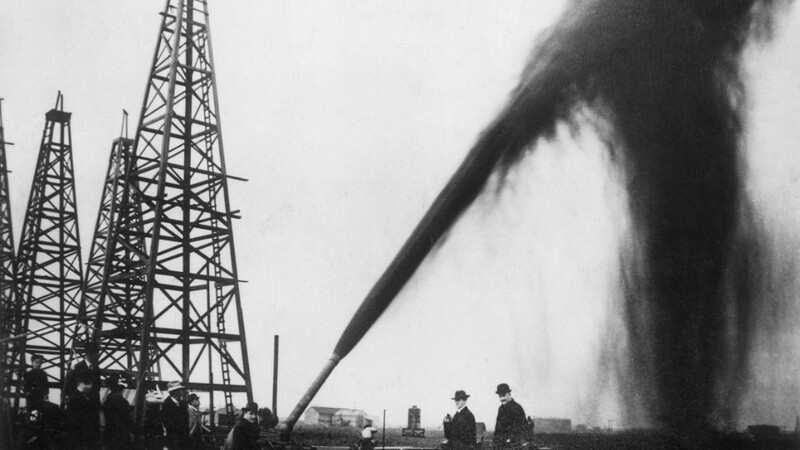 Halliburton isn't the only one predicting a rebound for the U.S. oil boom. Goldman Sachs recently forecasted U.S. output will continue declining this year (it's down seven straight months), but then resume growing in 2017 and beyond. "Reacceleration of U.S. oil production may be gradual initially, but the world will still need U.S. shale longer-term," Goldman analysts wrote in a report.